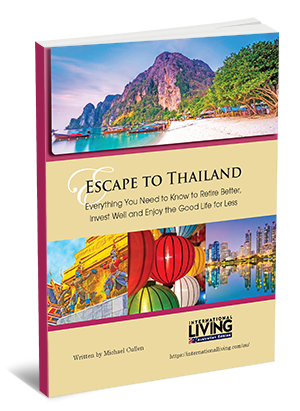 A 158-page manual chock-a-block FULL of information on living, working, retiring and starting a new business in today’s amazing Thailand. 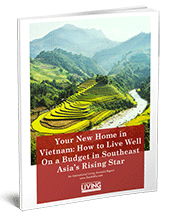 This comprehensive resource can help YOU start “living like royalty” in Thailand. 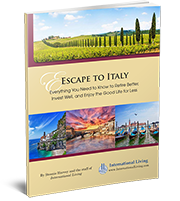 Where to Go, What to Expect, and Everything You Need to Know to Live Better for Less. This brand new online resource gives you everything you need to know about Thailand. 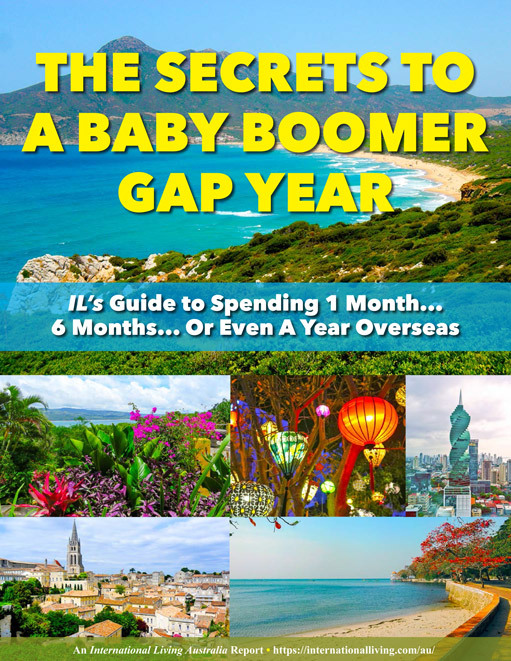 Created by ILA’s Thailand correspondent, Michael Cullen, it’s a personalised online virtual ‘retirement tour’ of this top retirement haven. 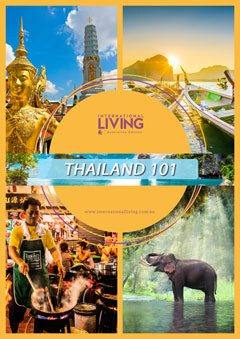 Through videos and special reports, Thailand 101 is an easy, streamlined, and most reliable way to get you from where you are now-to a better life in the perfect place in Thailand that’s exactly right for you. IL Roving Correspondent Sharyn Nilsen swapped the 9-to-5 grind for a travel-rich life roaming the globe and she knows just what it takes to get organised and set off overseas worry-free. 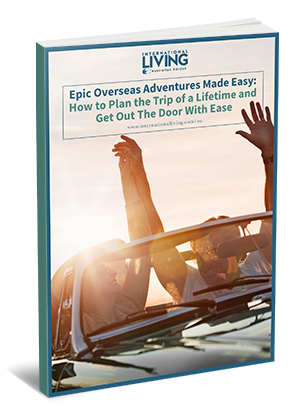 She’s packed all her experience, insight and know-how for making your overseas move an easy one into one bumper resource called Epic Overseas Adventures Made Easy. 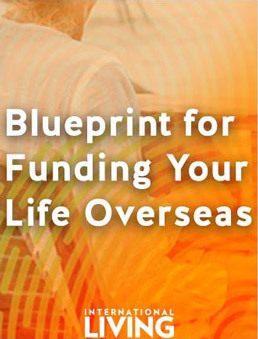 This book removes all the guesswork from planning an epic overseas adventure and allows you to plan your overseas “dream” trip with complete peace-of-mind. 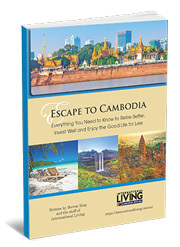 Whether you dream of spending three months in Southeast Asia…traveling overland through “Old World” Europe for a month…taking half a year off and exploring the Americas…or anything in between…Epic Overseas Adventures Made Easy will help you take the stress out of planning your trip and managing your affairs so you can focus on getting excited, getting out the door, and having the time of your life. 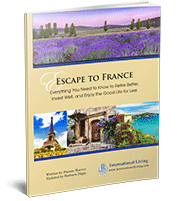 Being a Travel Consultant can be a great way to make a nice living abroad. 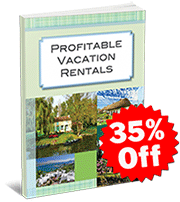 As a new “local,” you could be of assistance to all of those people who are just visiting on holiday. After all, you’ll know all the best spots—where to eat and what to see and do in the area. This type of information is valuable, and others will happily compensate you to show them the best of the best, to keep them safe, and to give them insider tips. There are a few ways to go about working in the tour and travel realm. 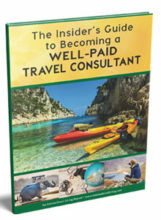 The Insider’s Guide To Becoming A Well Paid Travel Consultant will help you get the wheels turning. These days, the world is more accessible than ever. Getting around is easier and cheaper than it has been for any previous generation. It’s no wonder that with each passing year more and more people are discovering the joys and pleasures of a travelling retirement. 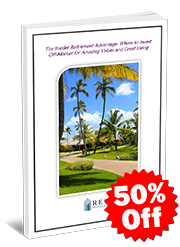 We’ve collected all the information you need to embark on your roving retirement in this comprehensive report. 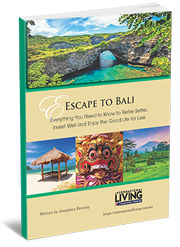 Escape to Bali: Everything You Need to Know to Retire Better, Invest Well, and Enjoy the Good Life For Less. 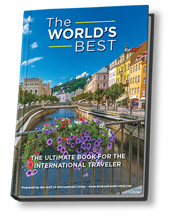 The World’s Best is a subjective set of bests culled from more than 200 seasoned travelers and expatriates around the world who are affiliated with International Living. 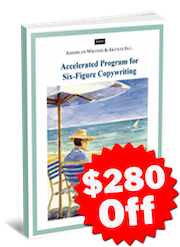 It spans 76 countries across six continents…and is contained within 800 pages…barely! It isn’t exactly the stuff of guidebooks…although it is chock-full of phone numbers, addresses, and directions to incredible places. It isn’t exactly a history lesson…although you get snippets of stories behind the places that will make you laugh, and a few that will make you cry. It is more of a traveler’s log, with notes to a dear friend in the margins. From the sites you shouldn’t miss to the restaurants you might unless you know where to look for them. Even if you’re a seasoned traveler, you’re sure to discover more than a few places that weren’t on your must-see list. Until now. 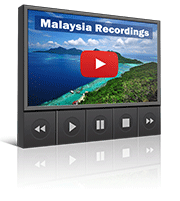 Malaysia is one of the world’s most modern, sophisticated, and affordable tropical expat havens. It’s no wonder almost 200,000 expats now call it home—when it offers a perfect low-cost, first-class lifestyle. 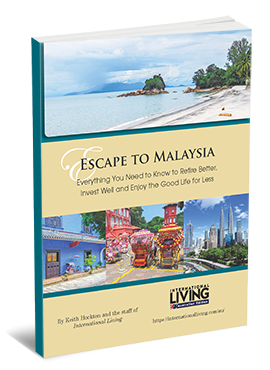 And now, you can find out everything you need to know about expat life in Malaysia—and decide if it’s for you or not—from the comfort of your own home with International Living Australia’s Live Large In Malaysia Quick-Start Package. Lingering into the early hours over drinks in colour-splashed Barcelona, savouring scrumptious paella on a warm summer afternoon, or sitting on a balcony in Seville overlooking the largest Gothic church in the world. 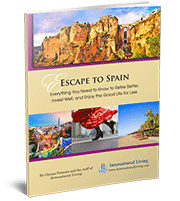 Whatever your Spanish dreams hold—right now, for Australians, Spain is more affordable than it’s been in decades.. 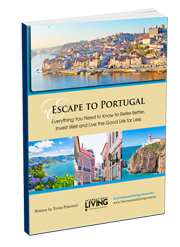 In Portugal, summers are long and costs are low. Café-lined cobblestone streets, ancient Moorish castles and pristine golden-sand beaches beckon. In this sophisticated, low-cost paradise you can enjoy a first-world quality of life…on a budget as low as $2,538 a month. There’s a powerful secret almost nobody talks about. 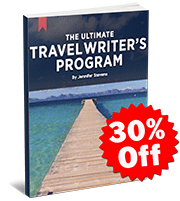 A way you can stay in exotic locales all over the world… for free. 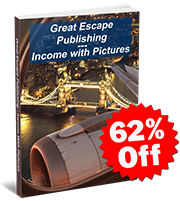 It’s a secret “back door” into luxurious stays in places that normally cost hundreds or even thousands of dollars a week… but which, when you apply this secret, can be yours without paying one single penny for your accommodations! … 100% rent-free! Here’s how.. 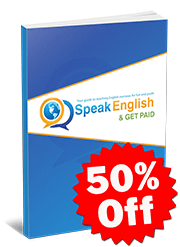 Speak English and Get Paid: Your Guide to Teaching English Overseas for Fun and Profit.